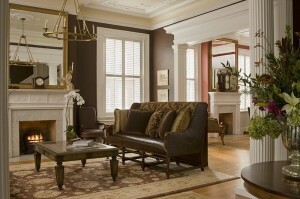 Bed and Breakfast first impressions- Does your 'lobby' set the tone? 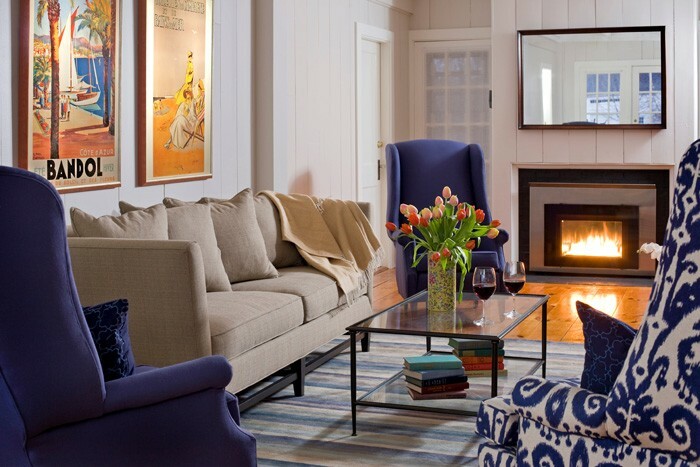 First Impression at The Inn at English Meadows. Sit, relax and connect. “The lobby sets the tone for the overall guest experience, whether it is tone color, décor or ambience. It is the first impression that guests pick up upon entering a property.”From an article in Global Traveler, April 2014 entitled, ‘Form, Function and Finesse’. 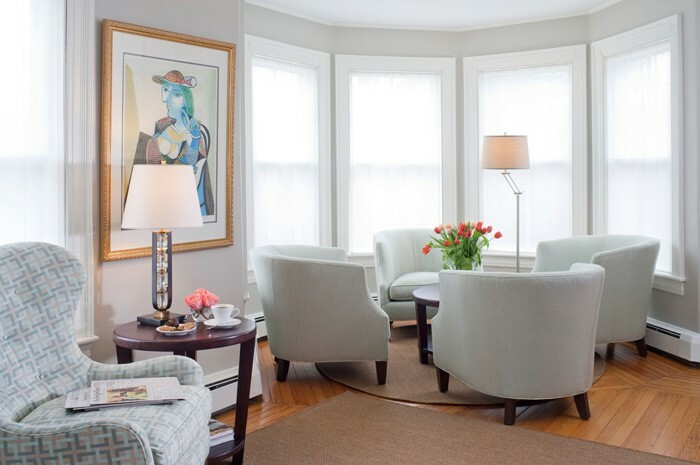 Over the years The B&B Team has heard comments from innkeepers saying that not very many of their guests use their common living room/parlors. Well…there may be a reason. Hotels have seen the same thing. Guests were not ‘hanging out’ in their lobbies. They were in the bars and lounges, but what if a guest wanted to just sit with friends or plug in their devices to ‘work ‘n play’, or have a casual business meeting without the bar buzz? Many of the large successful hotel chains have been transforming their lobbies into spaces to relax, connect, meet, think, a place guests can make their own. 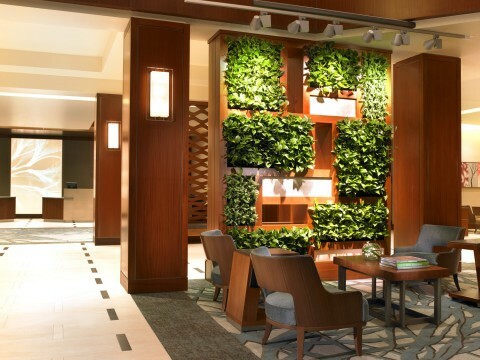 Westin Hotels & Resorts creates a modern day oasis in lobbies. 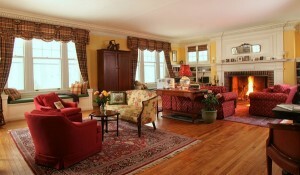 “Setting the tone for an overall experience” is also important for bed and breakfasts/Inns. Maybe even more important! Many small lodging properties are in historic buildings. They have an advantage of a distinct sense of place. The aim is to emphasize the unique historical architectural details of the building, the entry and other common shared spaces. 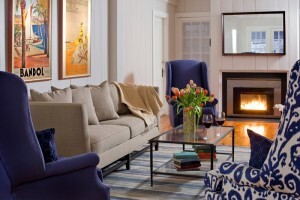 Create eye popping design while creating a comfortable and functional space. It has been done very successfully in many bed and breakfasts. If you have been thinking about transforming your common areas and make your bed and breakfast first impressions a WOW then read on. Beyond design there has to be function. Easy access to USB outlets is also a function guests are looking for in common rooms, not just their guest room. And good lighting everywhere, this should be your mantra! Creating multiple conversation areas is key if you have the space. This is both thoughtful and functional for guests. Multiple seating areas. Room for more? Birchwood Inn Lenox, Massachusetts has an extended living room with enough space for three conversational areas. Transform, re-brand, re-fresh or renew. 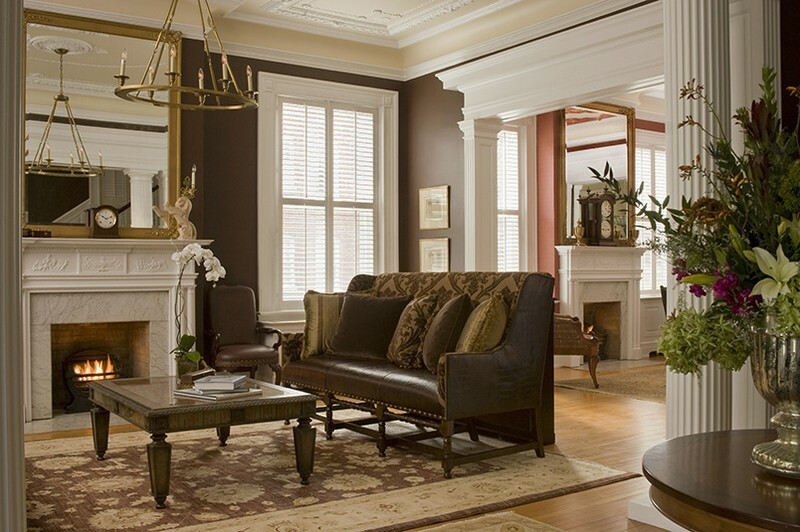 Impress your guests with a bed and breakfast first impression. It counts. This entry was posted on Wednesday, April 9th, 2014 at 6:27 pm	and is filed under Interior Design. You can follow any responses to this entry through the RSS 2.0 feed. Both comments and pings are currently closed.